Okay, checked the stadium today, July 6th. They have started putting in the steel floor for a portion of the seats on the East Side. Construction seemed to be pretty laid back and slow. I know they want to open it August 2017, but realistically, it still looks like a March 2017 opening. Any reason why? I would think it would be great to open for at least a couple of games this year.. Would love for the last RGV/SAFC match to be the opening as I think it would draw a great crowd and be able to see what works and what needs to be improved. You have to see the level of construction, it's still very early, with little of it built. I can't see this thing being ready to open before early spring 2017. Rio Grande Valley FC announced on Thursday morning a major partnership with San Antonio-based supermarket chain H-E-B for the naming rights of the club’s soccer-specific stadium. 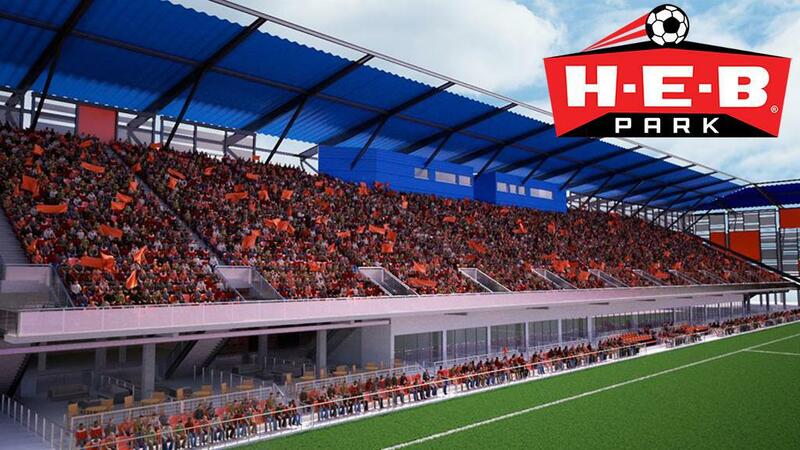 The 9,700-seat venue will be named H-E-B Park when the Toros take the field for the first time in their state-of-the-art facility. HEB Park is the name of the entire complex. 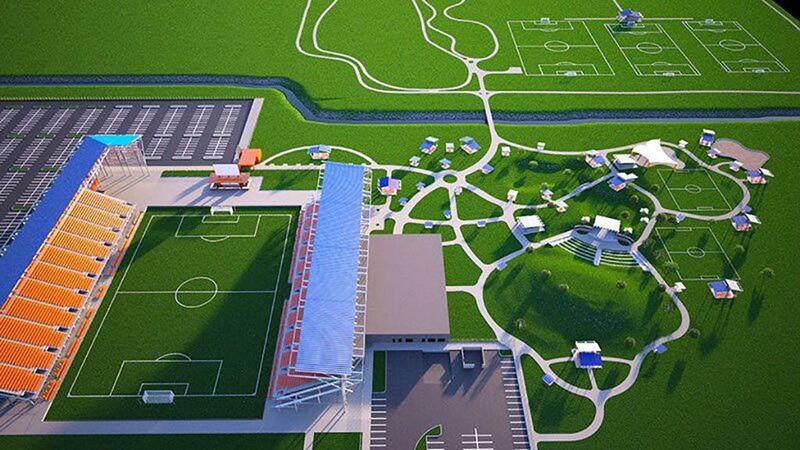 H-E-B Park will be a leader in the USL in stadium infrastructure, with amenities including a full-service restaurant and concessions, a park with a playground, an amphitheater with a capacity for 2,000 individuals, practice fields, executive lounges, a sports bar, and 33 suites. The article is careful to avoid saying when the stadium will open. LaMascara, hipityhop and Blando13 repped this. Because it won't look like this until Spring 2017. No way for this year. Correct me if im wrong, but isn't the owner of the team also the owner of the construction company building it? Has weather been a problem or is he a bit short on cash? Yep, the soccer team owner also owns the construction company. They are blaming weather issues and changes in the design. Alonzo Cantu, the primary owner, is not short of cash. He is also building a basketball arena for his local NBA-D League team so having the two simultaneous projects might have affected things. The basketball arena also went through design changes late in the process to increase the seating. It seems to be a pattern. And with this pattern, don't be surprised to see this stadium done fall 2017. Anything new about stadium constructions since July 6th? I seem to be the only one posting at RGV forum, I guess there isn't much interest in Big Soccer in the valley. I have doubts that the stadium will be any different from what it was showing in July. I will see it in December and I will report with pictures. Was down there for the last match. From my understanding that it is pretty cut and dry on how it is going to be built. Looks nice.. a little (American) footballish to me. But in speaking with the locals down there it has to do with the wind? It is very windy in the valley for sure! Checked out construction on January 6 2017. Cold front came through down to 39 degrees. Workers bundled up in arctic gear, they looked like they were ready for -10 weather! Construction around the stadium is progressing, part of the parking lot needs to be paved. Both East and West Stands with cover are up. About 10% of the seats have been installed. Grading for the field seems to be done. No scoreboard yet. All the inside construction for offices, locker rooms, etc. are not even started yet. This stadium won't be ready for the start of the season. Off to see RGV put a hurt on OC. vamos toros! Well RGV won on a nice evening with threatening showers at the end. Maybe a 1000 attended the match, no official numbers yet posted. "Kick the ball ! Kick the ball! Come on Boys Kick the ball !"